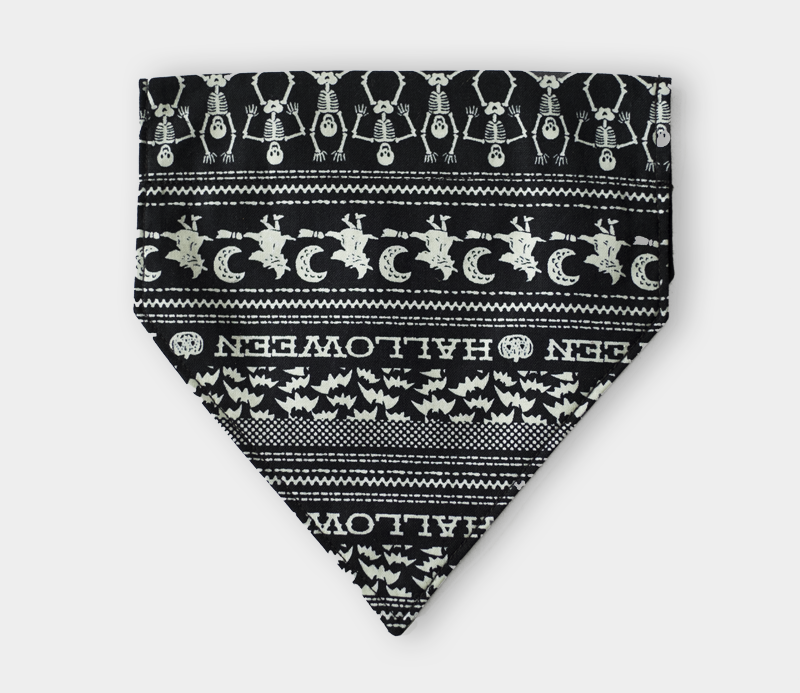 These are 100% cotton 'over-the-collar' bandanas where the dog collar slides right through the bandana for a easy hassle free dress up look. These bandanas are safe and super comfortable for your fur baby, they wont even know its there! XS 5" wide x 4.5" long.